At seventeen I left home and moved to Santa Cruz to work at the Boardwalk, living on hot dogs and hamburgers. Four years later I met my husband of 64 years. We had four children, two daughters right away and a son and daughter seven years later. Trying to make ends meet, we ate a lot of beans, oats and rice. My husband and I worked in the restaurant business, he as a chef and myself as a waitress. Needless to say, we both worked long hours and meals for us was whatever was quick to put on the table for the family. When our two youngest became teenagers, I decided to be a stay at home mother. With this there began to be loneliness and boredom and food often filled the void. I never had a drivers license and my husband worked ten to twelve hours a day. I would eat when I was bored, lonely, mad or happy. And so, my emotional eating began increasing with the empty nest. Oh, I would try to lose weight through the years; Atkins, Weight Watchers, Weigh Down, but they never worked. In 1990, at the age of 63, I learned I was diabetic. How confused and scared I was to learn this. But even with this news and doing my best with SAD meals for diabetics, I could never lose the weight. Along with diabetes and still no weight control, of course, came the onset of heart disease. I suffered a heart attack in 1999 and stepped up my efforts with different fad diets, but was never able to keep the weight off. My grandson became the editor of this blog (which I didn’t know what that was) and soon his parents were following this new lifestyle. They kept telling me how the Primal way wasn’t a diet but a simple way of life. They gave me a copy of The Primal Blueprint and as I began reading it something just clicked. I no longer wanted to be overweight. Each week I saw a difference as the weight came off with ease. I never felt like I was deprived and found I wasn’t hungry all the time. After a year of being Primal, I moved to be closer to my daughter. My new doctor checked my blood work and took me off of several medications, including insulin. I have been able to manage my diabetes through eating Primally and exercising three times a week. At 87 years old, for the first time in my life I feel beautiful, both inside and out. People look at me and tell me I’m so tiny. I still can’t get over that. I tell my Primal story to anyone I meet. Being overweight all those years has taken its toll on my heart, but I have never felt better. My advice to those thinking about the Primal way of living; do it. It is simple and it works! I eat better than I ever have and feel better than I ever have. Look at me! Since the publication of my story in August 2014 I’ve continued on my primal path. In April of 2015 my cardiologist told me I was in need of a heart valve transplant. At 88 years old I didn’t feel the need to proceed with this procedure. I had lived a full life and, because I suffered a stroke after the heart catheter, I wasn’t sure if I would make it through the operation. With my decision my cardiologist put me into hospice care. They took me off medications pertaining to my heart as well as blood thinners. The medications hospice put me on were to make me comfortable in my last days. Here is a picture of me on what I thought was my last Mother’s Day. That was two years ago. Although I have had decline in my health, I attribute my longevity to my healthy primal living. I am now 90 years old and doctors don’t feel I have much longer to live. That’s ok. I’ll keep living primally. They know more than me, right? Respect to you! You look so healthy! Wow. Just wow. Fantastic! And love your photos! Sort of leaves no excuses for the rest of us, doesn’t it? Thank you so much for your story. It’s just what I needed to read today. You are lovely and yes, you ARE tiny! You are prettier now than you were in your 60s. I’m a woman of 62 and have been despairing of ever being a “normal” size again. Your post gave me a good, solid dose of hope. It is one of my greatest achievements. My only regret is that I didn’t find this earlier. You have, and through the community of MDA you have an abundance of support. Faye your story is truly inspirational. I am a 58 year old type 2 insulin dependent diabetic diagnosed 19 years ago. I am a train wreck. Today after reading about your primal journey I have ordered the 21 day transformation book which should arrive in a week but I am starting on the journey immediately. A very inspiring story of someone falling in love “with themselves’ and taking care of them-self – it is reflected in your outer and inner self. Thank you for sharing these results. What an inspiring story! You ARE beautiful and you are simply radiating in that last photo! This is a fantastic story, congratulations Faye! You look beautiful, and way younger than 87! Those comments were written when the original story was published. Almost 3 years later the update is published and she is now 90, which coincidentally is 97+1+1+1. Not sure why but I thought it was funny. She looks like my grandmother did in her early 80s – my grandmother died at 95, and was beautiful right to the end (though she needed a walking frame and was quite hunched the last couple of years). Such a wonderful story! And the photos you posted of you in your youth–you were beautiful then, too! Thank you for your inspiration. I’m completely confused! With testimonials (like this impressive one) how on earth can there still be people who criticize this lifestyle as a potentially dangerous fad? The answer is genetics. Consider Otzi the Iceman’s story. Pure paleo, with heart disease. Otzi did not die of heart disease. And he was eating grains. Which brings up an interesting point. Faye is old enough that she gained her weight BEFORE the advent of dwarf hybrid wheat, high fructose corn syrup, soybean oil, GMO, CAFO meats, and the rest of the baddies. Does she have the genetics to gain on carbs alone? It’s not just the modern day versions of these foods that are hard on the system, and yes people can gain on carbs alone, especially for women having more than one child in a row. I was always healthy, ate organic, grass-fed, lots of veggies and no sugar, no over eating etc, etc. As soon as I had my first child though, my genetics kicked in. My thyroid went, I gained a ton of weight and couldn’t lose it until I got rid of grains entirely. As for people Faye’s age, grains weren’t the only culprit, the fats and oils consumed back then were NOT healthy. My grandfather ate Crisco sandwiches for lunch as a kid:/ Crisco was invented in 1911. Sugar was a big issue too, Coke, Pepsi have been around forever. Not to mention she and others had plenty of time to consume bad foods through the 50’s (Cheese Whiz invented) 60’s (Lay’s chips founded) , 70’s (when high fructose corn syrup was marketed for consumers) and beyond. We didn’t invent the “baddies,” we just perfected them. He didn’t have time to die of heart disease. Yes Otzi had wheat in his belly, in fact refined wheat. And Egyptian mummies have been studied and they ate grains too. In fact they were primarily vegetarian based on recent studies. I would check out Robert Sapolsky and his studies on wild baboons. Regardless of diet, the baboons with the most stress had all of the markers of heart disease. There are people who claim they have gained weight or developed high BP, or whatever, on a strictly Paleo diet, but if you talk to them you find out that they aren’t strictly Paleo at all. They’re just good at deceiving themselves. I’ve known people like this. They are “Paleo” except for the pasta they gorge on every Wednesday night, and the breaded fried chicken they eat every Sunday at Grandma’s, and all the terrific desserts Aunt Mable brings over throughout the week, and God forbid that they should give up their morning toast with jam, etc. In short, they are in constant “cheat mode.” They’ve turned the 80/20 rule upside down so that they are 20 percent Paleo and 80 percent everything else. The anti-Paleo people jump on these bogus cases and use them as poster children in order to fuel their own misguided fire. Shary, you are so right in my case! I thought I did everything right and ate coco puffs on a daily basis because they were from rice and not wheat! I went to the dentist and couldn’t understand with my “great” eating habits I could have so much plaque. That is truly an amazing story! So many older people claim to be too set in their ways to make any changes, so that such changes from someone who was 84 is truly inspirational. I hope I look as good at 87! You are absolutely beautiful, Faye! Thank you for sharing your story with us- you are in inspiration! I work in a health care profession. So many times, patients ask if there is anything they can do to help their aged mother/father cope with a painful health issue. Whenever I mention diet, they dismiss it as impossible – they assume that their parents are too old to change their ways, or somehow it’s not worth the trouble at that age (or possibly it’s too complicated to convince caretakers, as well). Thanks for proving it’s NEVER too late. I agree with you, but I also understand why they might say that. My father had a heart attack a few years ago and I have been trying since that day to get him to even change one thing about his diet and it’s become a point of contention between us. I want him to change but he is convinced if he’s gonna die, he wants to do it with a Pepsi in his hand. I think a big reason there is such a push back with my parents at least, is they think admitting food they have been eating for so long is damaging to their health, they are also being blamed of bad parenting or damaging their children’s health as well. I hear “we grew up on this stuff and it din’t kill anyone! These diets are just a silly fad” all the time. Incredible! Congratulations on feeling wonderful and sending the message that it’s never too late! Pleasantly plump….my grandmother, who would have been about your age, used to describe me like that. I was either pleasantly plump or big boned. Thanks for the memory! Congrats on the change! You have done an awesome job! Wonderful, hope to be all that at 87! You look beautiful inside and out in all your pictures. Thanks for sharing! I’m inspired by people over the age of fifty who are doing this! Faye, I’m sure you will get many, many compliments on this but let me add mine; it’s really great to hear (and see) how well you have done. I wish my mother-in-law (who is 80 now) would follow your example, but she insists on following her doctor’s instructions, which means lots of “healthy whole grains” and as little meat as possible, and margarine instead of butter, and on and on. The thing is, she’s an adult and I think she has the right to her own opinion so I’m not going to pester her even though I think she could be doing a lot better by eating in a different way; however, she is horrified by the way we eat and I imagine she is convinced we are killing ourselves. At some point I think we have to respect people’s wishes and I’m so pleased to see that your wishes have been the right ones. It is so nice, Faye, to hear your story. I am 63, have no medical issues other than 30 – 40 extra pounds, which I do not need hanging on my body. Faye, you are an inspiration, thank you so much for sharing your story, it made my day. Faye – one of my goals of becoming a Certified Nutritional Therapist is to dispel the myth that getting old means getting sick (along with “inevitable” aches & pains) – your story is one I will share with my future clients!! Thanks for sharing your inspiring story!!! @ 36 years of age I get this gnawing pain in me joints whenever I stray from primal and eat wheat & carbs. Yes Carol! There is so much more to life for the elderly than medicating away in a nursing home! Good luck in your endeavors. WOW! 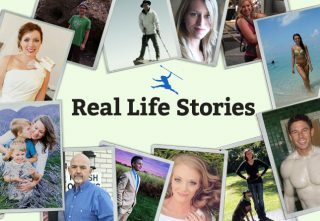 I read these stories every week, and I am always inspired, but this takes the (gluten-free) cake! I’m speechless! Faye, you are awesomely inspirational and I am so glad you decided to share your story. Grok on, pretty lady! Now that’s inspirational. You go Faye!!! Grokette on. I loved your story. You look absolutely radiant! Thank you for showing us the future looks bright! Awesome! The point is if you live the primal lifestyle, you will be the best you can be at any age! How I wish my father-in-law, with extremely severe psoriatic arthritis and skin cancer would read your story Faye, and take heart… “never to late” is the big take back here. Well done! One can tell that you feel as fantastic as you look. Faye, I want to be like you when I am 87. I went primal at age 31 and also wish I had discovered it earlier… Am 35 now! Dear Faye! You are indeed beautiful inside and out. I applaud your strength and courage to commit to, and stick with, such a major change in lifestyle. You most certainly inspire me! And I remember those Central California cotton fields from the 1960’s, when my parents and I would drive south from Lake Tahoe (where we lived) to Southern CA, to visit family. Thank you so much for sharing your story! FAYE!! Great going gal– I hope to be as spry and healthy and reach 87 someday–and feel many years younger. AMAZING story! I love this. Thank you for your example and inspiration. No matter what age we are, living Primally is living beautifully! Best Real LIfe Story ever! I’ve read and heard many times that once women reach a “certain age” that weight loss is impossible. Faye and others show that it most certainly isn’t. Congratulations on your success, Faye! I am pretending that your posting was an answer to my plea posted on last week’s success story (Joe) for an octogenarian or better to post their journey. You mention your weight loss as a measure of your success, which is awesome. I am curious, however, if there were other noticeable differences such as inflammation and its resultant maladies. If you would care to elaborate on this, it would be greatly appreciated. Thank you again so much for sharing your story. Oops! My bad! I see that you did mention diabetes. I scanned too fast. I am still interested in any other health issues you may have had. IT CERTAINLY WAS YOUR POST THAT INSPIRED ME TO WRITE. I’M ALWAYS SHARING MY STORY BUT IT IS NICE TO SEE IT IN PRINT TO HELP OTHERS. THE BIGGEST DIFFERENCE BESIDES WEIGHT LOSS WAS MY DIABETES. TO BE TAKEN OFF INSULIN WAS HUGE FOR ME, SUCH AN ACHIEVEMENT. I HAVE DONE PERMANENT DAMAGE TO MY HEART BUT I FEEL THAT I HAVE LENGTHENED MY LIFE BY MY NEW LIFESTYLE. I HAD CHRONIC BACK PAIN THAT HAS BEEN RELIEVED BY THE WEIGHT LOSS. THANK YOU FOR GIVING ME THAT PUSH I NEEDED TO TELL MY STORY. Faye, This is one of the most amazing success stories and I read them all! It demonstrates that it doesn’t matter how old you are or what condition you are in, food can be your medicine. And that everyone can make positive changes in their life. You look beautiful! Many thanks for sharing your story. You are lovely and courageous. I nominate you as the poster girl for a Primal Lifestyle campaign directed at the US seniors and soon to be seniors. If even a fraction of this group went Primal, just imagine the impact THAT would have on burgeoning Medicare costs!!! Yes! on the poster girl for a campaign! So glad you shared your story. I’m 20 years younger and humbled by your success. Bravo! You are so gorgeous inside and out! Wow, thanks for the inspiring story that we can do primal at any age. Big hug. You are an inspiration. I got to tell my 71 yo dad. He needs to do it asap. Thanks for sharing. What a delight!!!! Thanks for letting everyone know, it’s never too late. Truly inspirational. Faye, what an inspiration you are to everyone! You look so healthy, beautiful and vibrant. A few years back my father in law died. He was a year younger than you, he suffered from Dementia, was doubly incontinent and lost all his dignity. My husband and I swore that we would never end up in that state if we could help it. I stumbled on MDA on the internet, bought “The Primal Blueprint” and changed our lives for ever. Through eating primally we both lost lots of weight, my husband’s Type 2 Diabetes is under control (no medication), his Angina seems to have gone and he no longer walks with a stick. We seem to have reached a plateau with the weight loss but maintain our present weight effortlessly and are never hungry. I just wish that our friends who have various health problems would take a leaf from our book and go primal. Unfortunately our words fall on deaf ears but we live in hope. I wish you many healthy years.. I forgot to say that we are 72 and 71 years old. I discovered Primal too late to really help my father, but even taking him off wheat for a year made a big difference in his alzheimer’s and boosted his cognitive ability at 92. As a result I sometimes succumb to the lure of too much dark chocolate or almond butter, but am never tempted by wheat products. I suspect you’ve also dodged the dementia bullet there – here’s hoping! I am so impressed you were willing to make that change so late in life. So many people just aren’t, it makes me sad for them. Way to take life by the horns and try a new approach! Awesome story! My sister is a dietician and I have tried so many times to get her to realize that we might be able to get my 85 year old father off insulin if he ate primally, but she doesn’t believe in anything but ADA recommendations. Congratulations Faye! I can’t “like” this story enough!!! It’s truly spectacular! I’m sending it to my dad…if I can’t help him go primal maybe Faye can! Grok on Faye – you look absolutely ravishing!!!! WOW. this may be the most beautiful story i’ve ever heard- i am so inspired! thank you, faye! Thanks so much for your post, Faye!!!! It brought tears to my eyes. I wish I could convince others to go Primal, especially the octogenarians I know. But like someone else mentioned, at some point you have to respect other people’s wishes and let them go down the path recommended by their doctors and conventional wisdom. So sad. But I’m extremely happy for you, and maybe when the time is right I can point someone to your story! Your story is such an awesome inspiration! My grandma has a lot of health problems that I think could be improved with nutrition but I never really thought to mention it because she’s in her 80’s and has dementia. It’s so wonderful to think as human beings we really can change at any age- thank you for sharing your story and I’m so glad you feel beautiful because you are- and always have been :). Faye, just from your posture in the last picture, I can tell you feel so good! I am so happy for you. Thank you for sharing this – I know a few people who might be willing to change after reading this! I am “only” 51, but I want to live to be 87+ and fabulous, like you. I would like to propose that Faye become a frequent writer to this site. I’m sure we all could learn a lot. Amazing story. I know so many people over 70 that are too fixed in their ways to change. I am so impressed by your story. My76 y/o step-mom’s diet is about 40% sugar and she thinks I am crazy eating “all that fat.” Her health is poor, even though she believes it to be good. Between Faye and Cindy’s success story from 5 week ago, nobody can say that primal doesn’t work or make any other excuses. Awesome work Faye, old or young you’re an inspiration to us all. Yes! I loved your story! You are truly an inspiration. (And I too wish I had found this earlier….but looking forward, everything is primal gravy so to speak.) Thank you for sharing your journey. Best. Success. Story … EVER! I’m 51 and 20 pounds overweight and have been moaning and groaning about how it’s too late to make a difference. Holy smokes…. Faye, you are a rockstar. Thanks for sharing. I’m teary-eyed from your success story Faye! Wish my mom would change her bad habits and help herself but that is not going to happen. Stubbornness runs on my family! At 54 and Primal over three years, I am determined to live well and be healthy for the rest of my life. Thanks for sharing and giving motivation to older people who think it’s too late. You showed that it is never too late! “Stubborness runs in the family,” yes! My folks are 90 and while my dad is doing well my mom suffers from terribly arthritis in her back; both are beginning to have some trouble with remembering, or learning new things (like rules to a game). I wish wish wish I could get them to go Primal. But my mom says “I’m old enough to have a donut when I want to.” And dad only eats whatever mom cooks. Thanks so much for sharing your story, Faye! I loved your story, Faye! Congratulations on your success! You look so happy. wow, what a GREAT story. you are such an inspiration that it’s never too late to make changes and be healthier! thank you! Thank you for sharing your lovely story. It is an example for us all. Any ideas how those who reside in “independent living” housing (meals prepared by others) can adapt a primal diet? WOW. I thought at 40 it was hard to take off weight. You just proved me wrong and I thank you for that. May you live a strong and happy life. Inspiring! I love all the success stories here but it’s so uplifting to see an older woman achieve her dreams. So many folks much younger than Faye decide it’s “too late” for them to change – she proves that determination is the defining factor in success. Congratulations! Faye, you are an inspiration! Thank you for sharing your story. You are amazingly awesome!!! Way to go Faye! Congratulations Faye! Great story and pictures. Just love those Fridays at MDA. Faye, I do not usually repost these on FB, but yours, I couldn’t resist to repost with the mention: “You’re never too old to be healthy”. Thank you Faye. Life is good! Faye, I read and am inspired by these stories every week, but yours has been the most inspiring by far. Good on you! Your story should be on the message board of every doctors waiting room! You look incredible and extremely happy! Truly Amazingly Inspirational Faye! KUDOS to you. Your testimony gives us that guiding light into our future lives. A life free of inflammations and maladies. Thank you so much, Bless your heart. Faye you look beautiful in all those photos, but the in the first and the last you are glowing. Your story is wonderful, and I too think you are the poster girl for Primal Living at any stage of life! It always makes me wonder how much the lives of those in aged care could be improved if they stopped feeding them all that heavy stodgy grain laden food. Maybe they would regain some movement, stop dozing off in their arm chairs, and regain some alertness and interest in the world around them. Every time I visit my mother in law, I am saddened by the old folk slumped in arm chairs with rugs over their knees. Can’t help but wonder if the staff prefer them that way so they are less trouble? Go girl, keep spreading the word and showing the world that positive change really is possible at any age. Sharing this with my father! You go girl! Thanks for sending the message to all ages that its never too late. Faye, you are an inspiration! I LOVED reading your wonderful story, Faye. You made so many dramatic and impressive changes – but you still have the same wonderful smile! Wowy wow wow…you are gorgeous!!! That skin is Amazing! You look like a lady who is ENJOYING life and not just ENDURING life! My Grandma is 87 as well, severe dementia, on medications for everything. I so often wish I could have introduced the Primal Lifestyle to her 20 years ago. I hope you continue to share your story with everyone you meet, you will change the direction of the journey for many…thank you for that! Awesome job so happy for you and how proud your family must be! OMG, I *am* looking at you, and you’re amazing! Thank you for submitting your story, what an inspiration!!! I have been primal for 40 weeks now and have never felt better and am totally passionate about this way of living. My weight has just dropped like magic – isn’t it marvellous when people say you are tiny! And yes you are totally beautiful – carry on living life. Faye, what a fantastic story. Thank you for sharing it and showing that age is no barrier to better health. Even at 92, and 2 years after diagnosis, removing wheat from my father’s diet had a significant impact on his alzheimer’s and gave him a cognitive boost. It’s certainly motivated me to stay on the Primal path. Thank you for posting your story. It was just what this 61 year old needed! I love the picture of you on the farm during the depression. My mom, who is a hundred and still going strong, used to say that “we had everything but money”. You look as radiant and happy now as you did then! I just have to +1000…. what everyone else has said. The terms “Rock Star”, “Poster Child”, “Awesome”, “Motivating”, “inspirational”, ad infinitum say it all! Your story, and your photos say it all. People can change at any age. All they have to do is “want it” and follow the steps. I lost 52# at 56, and have kept the majority of it off for the last 2 years, all due to Paleo, PB/Crossfit style training. Grok on baby, and keep enjoying life!!!! Yes, Thank You! Faye, your story is so inspiring to all of us. Look at all the new names who have replied. Thanks Joe, we all are grateful that you gave her the push she needed. My mom is in the final stages of dementia and when I was taking care of her I fed her a better diet of lots of fat and protein and a piece or two of chocolate here and there, whatever she wanted really but mostly primal foods. My dad was surprised that she lost weight. He thinks that the perfect food is “oatmeal” and he restricts her fat, doesn’t know why she’s still gaining weight on the tiny meals he feeds her, eye roll, couldn’t be all those grains could it? It’s hard to feed her because she has lost so much that she doesn’t like the same foods as before, nor the ones she liked yesterday. Bacon and eggs were a hit a few times. I’m glad that you are doing well and hope you have a good long life. That’s awesome!!! I hope this puts to rest the “fit after 40” nonsense that makes people (especially) women give up before we even try! I know for a fact, processed carbs are not my friend and I see/feel the difference whenever I go too heavy. Taming my sweet tooth is just another exercise in self-discipline. Learning to tell yourself “no” – in all areas of life or over-indulgence – IMHO is the key to success. Go Faye!!! Thank you for sharing your story, Faye! It made me think so much of my grandparents, who are about your age went on dates at the Boardwalk 😀 Unforunately, they didn’t live long enough to reap the benefits of primal living, but I’m sure your story will inspire many senior citizens to give it a try! The ultimate confirmation of what a fantastic machine the human body is! Thanks for sharing your experience. Read this to my 5 year old and she says maybe she (Faye) will live to be 100. Then she says maybe she will live to be the last number. Amazing, very inspiring, thanks for posting this! Awesome work Faye! Here’s to another 87 years with the primal lifestyle. Wow. Way to go! An inspiration to us all. Yep, that’s how I want to grow old as well… very inspirational. Thank you, Faye, for taking a chance and sharing your journey to health! I teach Optimal Aging to ugrads and will add your story. One objective of the course is to help students tease out health issues from chronological age – healthy old people defy our fears of aging, and your story shows this. Another objective is to help students challenge their own stereotypes of aging so they can envision a healthy old age for themselves. I use examples from the Senior Games (amazing how many of the competitors didn’t begin training until their 60’s, esp the women). I also use examples from the Georgia Centenarian Project (https://www.youtube.com/watch?v=nUEP8se3oUs). 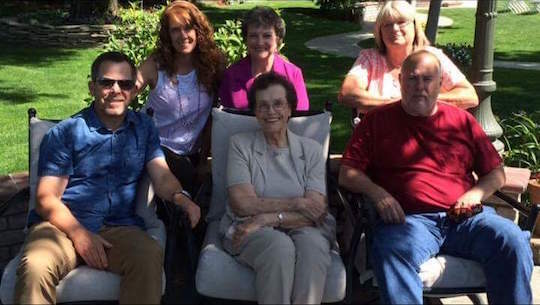 Faye, your story is THE BEST for showing how an octogenarian can save herself with good eats. Your vibrancy is thrilling! It’s never too late to gain control of your health. Way to go, Faye! Faye, what an inspiration you are. I’m 73, was just diagnosed with diabetes, and have just been primal for a few months. The weight is going off slowly, but it is going off consistently, and that’s the important thing. With your wonderfully inspirational story to motivate me, I feel sure the future is going to be great. Best wishes to you, and thanks for sharing your story. Exceptional story! Thanks for sharing! i LOVE this post!!!! congrat Miss Faye on embracing this way of life. I am going to show this to my mom! She just turned 75! Yay for Faye!! So awesome, what a great story. Thank you so much for sharing, Faye. Change can happen at any time if we let it. Good for you! Your story brought me to tears. Faye, absolutely amazing. Thank you for posting. Faye, you are a beautiful and inspiring woman. Thank you for sharing your story! This is absolutely wonderful and inspiring! Thank you for sharing your story Faye!! You are beautiful! You remind me so much of my mother. How I wish she could have found this wisdom, but the information wasn’t available back then. It’s terrific you can manage your diabetes with eating Primal and exercise. WOW! Faye, you beauty! Clever, clever woman you. You move and inspire us all. Like someone commented earlier on: If you can do it, then the rest of us have no excuse! (I’m curious: Does your husband also eat this way?) I’ve transformed myself with this way of eating, but my beloved man is steadfast in his dedication to eating junk food. Fortunately he doesn’t eat that much of it that often, as we have a deal that our home is a safe, healthy-food-only, haven. Love that you are 87 and kicking it up on the dance floor and beaming joy and good energy at all who are lucky enough to meet you! Thank you for sharing your story and your beautiful pictures here. Sorry to hear about the loss of your beloved sweetheart, Faye. So glad that he got to see you revealed in all your physical beauty. Seems like he always knew what a beauty you were though! Even more inspiring. So many women cease to grow and explore when they lose their partners. What a lovely beacon of hope you are to the rest of us! What an inspiration you are! Ive been concerned about getting started so late in life (I’m 60) but now you are my role model! I’ll keep living a Primal lifestyle. You go girl, you are awesome! From one Faye to another, well done! This is so impressive and I can think of a few people a couple of decades younger than you who claim to be too old to change. I hope that seeing your story will inspire them. OMGosh Faye – you look and sound terrific! Thank you for inspiring me. My dad (82) is the primal guinea pig, because he is way more disciplined than me. I have helped “influence” him to get off grains and add grass fed beef and organic chicken and eggs to his diet, in addition to his already fruit, nut and veggie rich diet. He was slim, but is now gaining muscle tone and vigor and has improved cholesterol and triglycerides, etc. You give me SO MUCH hope for myself, too. I’m coming along but eat too many nuts and fruit at times, but still losing weight slowly and pretty effortlessly. I’m going to keep at it with a bit more discipline and am committing to exercising 3x a week, like you. I was always phsically fit growing up and through my late 20’s until a serious car accident and some personal struggles slowed me down. Or, I chose to get slowed down is more like it. Oh well (46) now and still pretty young, but I’ve wasted enough time. You really motivated me Faye. Thank you and bless you! I only hope I can be as beautiful as you are when I am in my 80s!! You look amazing! I’m very happy for you. Faye, I am in absolute awe, and have a question for you: do you limit your food intake at all in terms of quantity? I was overweight most of my life and did lose weight and maintain it for many years, but with difficulty. I find Paleo easy to stay on, BUT I still must watch the portions, and I never got really thin like you – my dream! Can you post something about what you actually eat on a daily basis? For those of us over a certain age, it seems we need less calories – Paleo or otherwise. Again – what an inspiration, and I am thrilled for you! Thank you for your complement. I live in an senior living facility where my lunch is served every day. This can be challenging since preparing for 200 people a lot of rice, potatoes, beans and bread are always on the menu, sometimes all of them in one meal. I always take what good choices I have and add to it. I really feel like I eat more than I did than when I was not primal. My breakfast usually consists of eggs with vegetables, bacon or sausage. Lunch they always have soup and salad with the meal, so that is what i will have and take main course home with me and I will add to it. I eat a lot of veggies and a small amount of meat and fish. I do not snack much because I don’t feel hungry, but when I do it’s usually nuts and dark chocolate. I never feel deprived or feel like I’m missing something when I give away that piece of bread or potato, those things don’t even taste good anymore. I feel so healthy and vibrant I only wish I had done this earlier. Again thank you for you kind words. How did I miss this? Faye, you’re awesome! Sorry I found this story so late – 3 1/2 months – but I just want to thank you for sharing your inspirational story Faye! And also, I must ask after searching through all the comments, no one else has, when you write “My grandson became the editor of this blog” do you mean that Mark is your grandson? I know Mark is the creator/writer of this blog. Is someone else the editor? I think it’s great that your grandson (whoever he is) influenced his parents who then influenced you! Yeah for family! Doctors puts me into Hospice in March. Ha-Ha I’m still here. You can’t tell me Primal doesn’t work. I feel great! i’m so so so so glad you are still sticking around & enjoying your life. you give me hope about growing old. This was so touching.. thank you Faye for sharing your story, strength, grace, and positivity to the world! Incredible and inspirational beyond words … Faye you are amazing! Delighted you’re still doing well Faye! Your story should be an inspiration to all those that think they’ve left it too late to bother with lifestyle corrections!! Best wishes for the future! Faye, Thanks for sharing your inspirational story. You look wonderful, and so bright eyed and joyful. You are proof that life is a journey, and at any moment you can take a different road, and make a change no matter when. 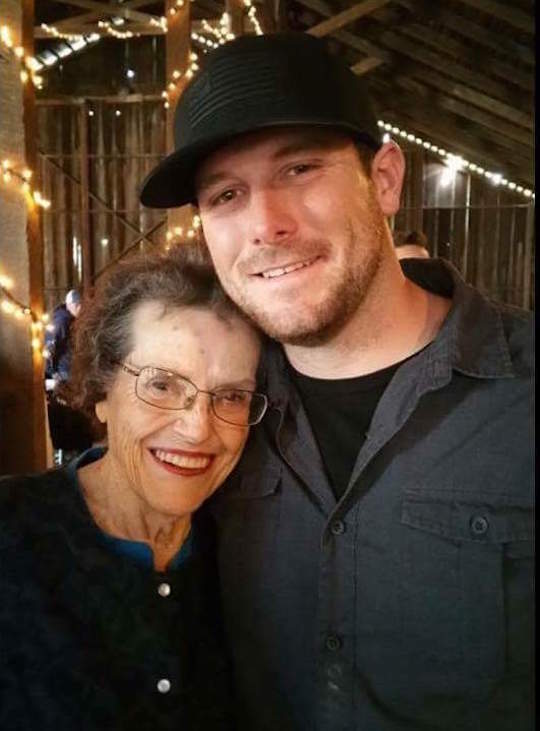 My Grandma died recently at just shy of 98. Once she turned 80, all the doctors started treating her as one foot in the grave, but she lived almost another 20 years-healthy, happy and living on her own until the last 8 months. Best wishes for your continued good health! You know the secret to a happy life, it is clear! Nice update. Live long and drop dead, indeed! I remember this one from the first time around. So beautiful and inspirational. And love the follow up and her amazing attitude. I always love the Friday success stories, but this is one of my very faves! Thanks for a totally inspiring story, Faye. You look happy and healthy and lovely! And that, friends, is how to live a life. Thank you for your update, Faye! I just love your story. I’m so inspired. Thank you! Beautiful – ongoing – story, Faye! Sending wishes for many more full, joyous moments. Wow! Awesome story and amazing transformation! As a medical provider I love when patients prove the medical statistics wrong! What you have accomplished through your primal lifestyle transformation is far more powerful than any drug, surgery or invasive procedure. Well done! Thank you Faye. I was not entirely sure if my plans to ninety were simply wishful thinking, but reading your update I feel that they might be a trifle modest! I remember your previous post well. At the time I felt encouraged that indeed I was on the right path. Now at seventy five I acknowledge that I’m still a comparative youngster, and continue to be a work in progress. I have just packed sixty paintings for my first show of this year, with four more shows to come through to September. Then my plein air painting season begins again. I’m working harder than ever, and enjoying it more. And like all the others, I love your radiant “Primal Smile”. You continue to be my inspiration. This is an amazing and wonderful story. But it’s a little dusty in here, so it’s getting hard to read. Faye you will see 100. Thank you for this inspiring story. I too remember the original post from you Faye. Thanks for the update and it’s wonderful to see you still in charge of your health decisions and still have your family around you. This is the aging gracefully I aspire to. Oh yeah – and you really are beautiful inside & out. Faye, what a wonderful journey! You are truly an inspiration. Thank you! So inspiring. I am grinning ear to ear reading this. Faye, thank you for sharing your update too. I am intending now to live to 100 and feel that, following this way of eating, I shall achieve this. Can’t wait to hear your update at 100. You are a beautiful woman with such a lovely family. In your update you mentioned a “decline in health”. However, looking at your latest photo, I see a wise, peaceful woman aging in reverse! Thank you so much for sharing your story and adding the update. One of the best posts I’ve ever read on the internet! This a great and inspiring read! Wow, good for you! Your story made my eyes go misty. What a life well lived and and wonderful legacy for future generations. Keep proving them wrong! 100 is right around the corner!! What a wonderful story Faye! I remember reading your original story years ago. Beautiful! I am so pleased to read your story. I’m in my mid-70s and feel unmotivated. I need to lose 100 lbs and you have encouraged me more than you know. Thank you. Faye, thank you so much for sharing your journey. What a gorgeous woman you are, and a shining example of “young at heart”! I so appreciate the inspiration. I am 67 years young and have overcome serious challenges to my health since I became Primal four years ago. Thanks for giving us all a peek at the road ahead. Happy trails! 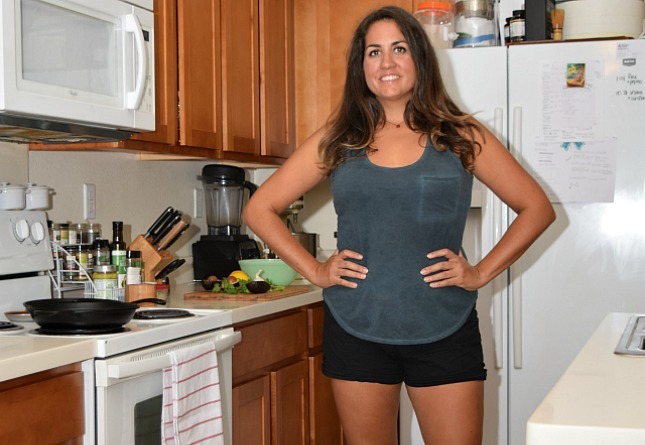 If you have the time to answer, I am curious what a typical day of Primal eating looks like for you now? I always start with a good breakfast, eggs, veggie and a protein. They serve lunch at the assisted living where I am living which consists of soup and salad and an entree. I’ll have the soup and salad for lunch and take home the entree to build a good primal dinner on. Lots of veggies and protein. My go to treat was dark chocolate but unfortunately I have had to give this up because it gets my heart racing. You have to know your body and react to the food you have consumed. Incredible. Thanks for the inspiration! I am working at getting my wonderful parents to change their life habits (especially my mom who worries me) and they are in their mid-sixties, this motivates me in making sure they keep shifting their habits to allow to to live as long as possible for their and my enjoyment. Thumbs up on your self confidence to make your own choices and not follow what the doctors prescribed, this must be a huge challenge when you are told your life is at stake! Faye, you are surely an inspiration. I also feel you are aging in reverse. Keep on keepin’ on “they” do know nothing! I wish more people would understand the power they have over their own destiny and that it’s never too late to make changes for the better. I always say that if I were to die I’d really hate to miss seeing what “stuff” happens next the world is a crazy ever connected and ever changing place and I just love to see someone older embrace change and keep learning. I love this article! She made my day. I’m so touched by this! I hope to live as well as Faye! I have “graduated” from hospice care after two years. They no longer feel I have only months to live. As a celebration friends and family took me to Monterey, where I began my married life, to put my feet back in the ocean. I never thought I would feel the sand beneath my toes again. So thankful for this community of people who have help me along my primal journey. Oh! I am so glad for you. And hopeful for my mother. My mom found herself short of breath one night two months ago and took herself to Urgent Care, thinking she was having an asthma attack (she does not have asthma). Turned out her heart valve is failing and that causes edema which led to shortness of breath. She’s had two week-long hospital stays, which damage her health in two major ways (besides the meds they pump in her): lack of sleep and really crappy food. She refuses to eat the food, which means she’s eating next to nothing. She’s home now but we are having such a hard time keeping her stable. She has eaten fairly paleo in general, but had dabbled too much in so many alternative meds treatments that I feel her body lacks strength overall. Your story gives me hope that we can build her strength again. I am going to share her progress with her. I am thrilled beyond measure to hear you are out of hospice! God bless you! Journey to the golden periods. Great! What a beauty! A true inspiration! Amazing. You look beautiful too. Youre eyes are sparkling. I hope you defy the odds and live for many more years. This story makes me so happy! You are such an inspiration.My family has been Paleo since January 1st and the results are undeniable.I am 49 and long to have a long life like yours.You give hope to us people who have carried extra weight for so long that it seems like our breakthrough will never come.You are proof that improving yourself is not limited by age.Paleo is literally saving our lives. Just wanted to update anyone who has been following my life. In 2014 doctors diagnosed me with afib, recommended that I have a heart valve transplant, which I declined. They put me in hospice care twice. Once for two years then recently for six months. I truly believe that primal living has kept me alive and the medical profession are scratching their heads. I’ll be 92 in December,. Of course I’m slowing down but I just had a great granddaughter (10th greatgrandchild) named after my mother and myself, Nora Faye. Life is great and I’m so glad to be a part of this community. What wonderful news, Faye! Congratulations on your latest great-grandchild, and thank you so much for keeping all your fans informed. I hope you and yours have lovely holidays.